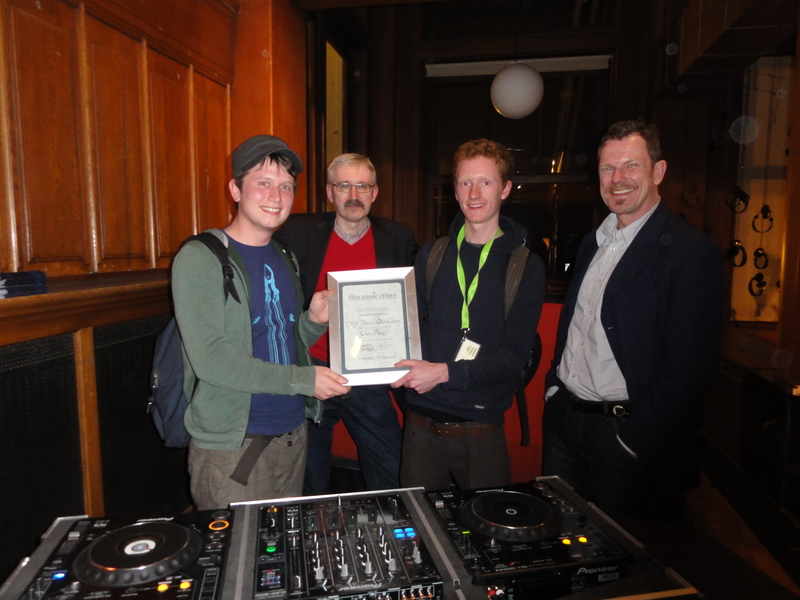 At the Unheard Film Festival in Amsterdam a special IFMCA prize was handed out for the first time. For The Battle, the soundtrack competition of the Unheard Film Festival, 66 students of European art and music academies participated by composing a new sound score for (existing) short films. 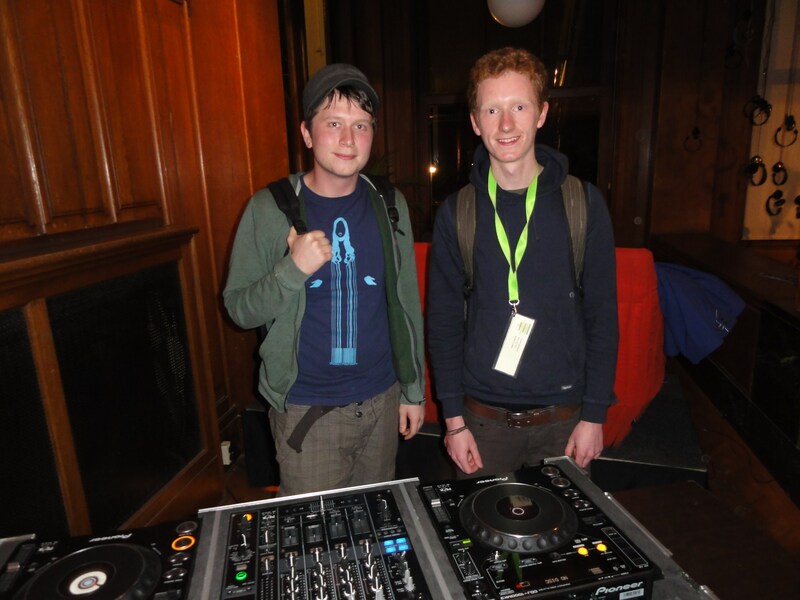 IFMCA-members Kees Hogenbirk and Paul Stevelmans formed the independent press jury that judged fourteen entries who made it to the finals of The Battle, on 25 March. 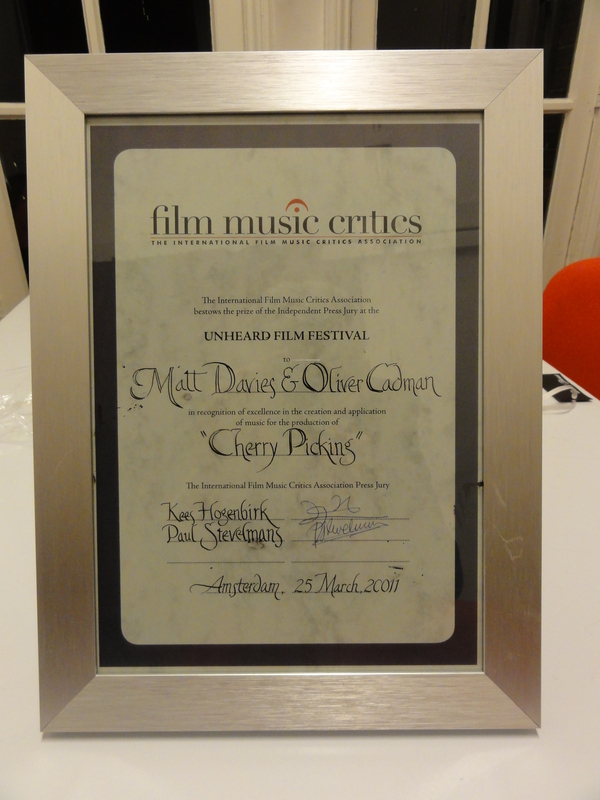 They bestowed the IFMCA jury prize to Matt Davies and Oliver Cadman of the Jazz Department of Leeds College of Music in Leeds, England, for their brilliant and captivating score to the short Cherry Picking, a black and white harvest reportage from the archives of the Netherlands Eye Film Institute in Amsterdam. The young men wrote modern-day music that strikingly accompanied the images of this old Dutch pastoral film. 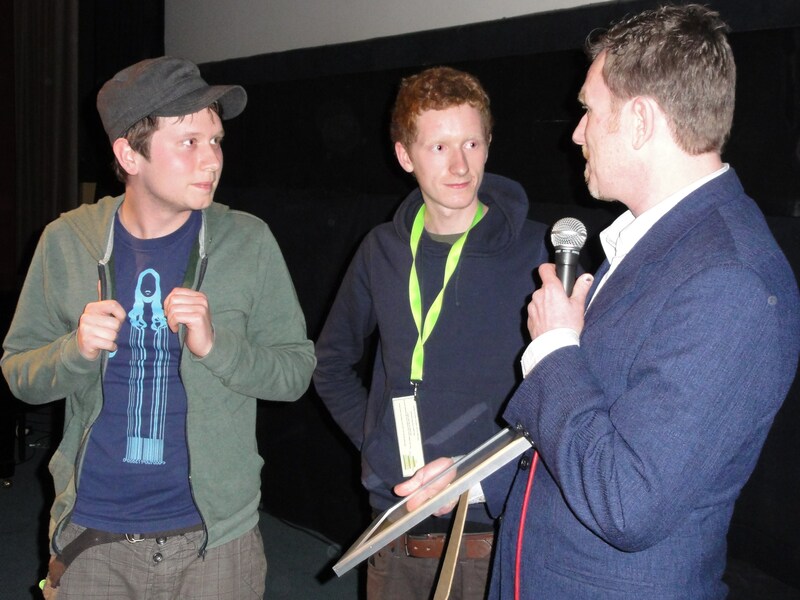 After the awards show in the Eye Film Institute Davies (20) and Cadman (22) appeared to be nicely surprised to be picked as winners by the IFMCA jury. They stated that they had written their minimal score with a classical structure within two weeks, playing only a handful of acoustic instruments such as guitar, cello, piano and double bass. The prize will undoubtedly encourage both aspiring students on their path of becoming promising film composers.